The Kold-Draft KDB400 ice bin can store 400 pounds of ice and has an interior space of 12.33 cubic feet. It is constructed of stainless steel, which resists scuffs and corrosion, and has polyurethane foam insulation that retains temperatures inside the bin and protects against stains and marks from scooping. To seal in cold air, door gaskets are included. 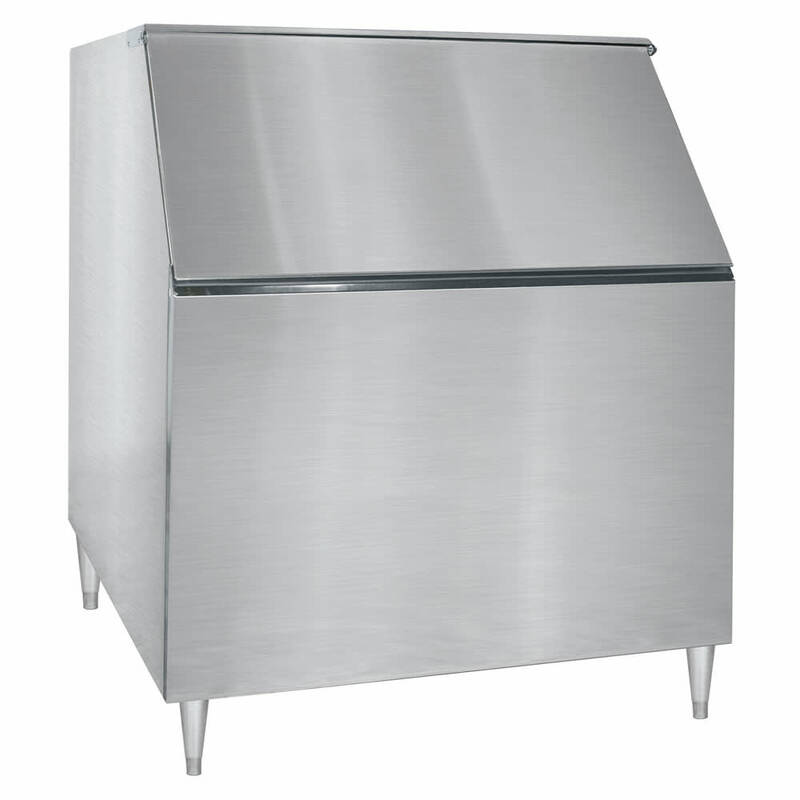 The Kold-Draft KDB400 ice bin has 6-inch legs so that staff can clean underneath. Its large door opening and low door sill help the user comfortably scoop ice. 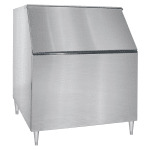 This bin is compatible with Kold-Draft GT360 and GT560 series ice machines. To learn more about ice bins, visit our article for ice makers.